Love the Castlevania series? Big fan of the whole Metroidvania sub-genre? Then Bloodstained: Ritual of the Night is for you. This horror-themed action-adventure (with RPG elements) is finally set for release on 24th May 2018, following its hugely successful Kickstarter campaign. While the financial goal was set at $500,000 to start with, Bloodstained: Ritual of the Night went on to receive more than $5.5m in funding from backers. The game will revolve around the heroine Miriam, who embarks on a quest to find a cure for her bizarre (and pretty horrifying curse): her skin is gradually transforming into crystal, the result of a cruel alchemist’s spell. Orphan Miriam ventures into a mysterious castle summoned by her old friend Gebel, who succumbed to the same curse long before, to find the help she needs. Oh, and that castle just happens to be filled with demons and monsters. You’ll need to get through all of them first. It’s not all bad, though. As Miriam battles across one part of the castle to the next, she’ll pick up new powers courtesy of those same problematic crystals afflicting her. She’ll get to craft fresh new armour and weapons along the way too, which is pretty par for the course in many an action-adventure now. Bloodstained: Ritual of the Night looks absolutely gorgeous, boasting a fantastic 2.5D style and Gothic visuals fans of the Castlevania franchise will recognise right away. The game will include more than 10 different game modes too, including online and local multiplayer, boss rush, challenge, as well as what promises to be a lengthy single-player story campaign. Multiple playable characters will be available in Bloodstained: Ritual of the Night: Miriam (of course), and two others who will be unlocked when you complete the game. Developers Inti Creates have worked on a companion title – Bloodstained: Curse of the Moon – which will be released on the same date as the main game. This prequel is an 8-bit linear adventure in the style of a NES classic, echoing the earlier Castlevania releases. Inti Creates are known for their solid work on titles like Mega Man 9, 10, and more. 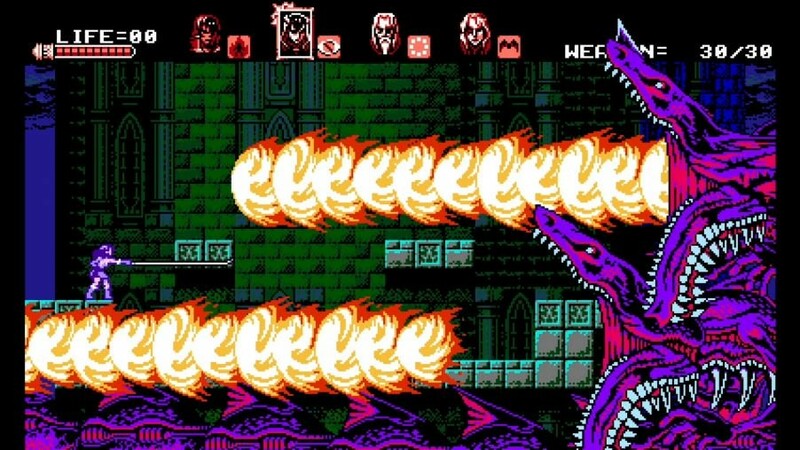 Bloodstained: Curse of the Moon looks absolutely gorgeous, with an authentically-retro electronic soundtrack and simplistic-yet-detailed graphics. You take control of a demon slayer named Zangetsu, who enters the same castle seen in the main game, though you can play as other figures throughout at the touch of a button. Different characters will have their own abilities, granting access to new areas, and the choices you make will affect the ending you see upon completing the game. 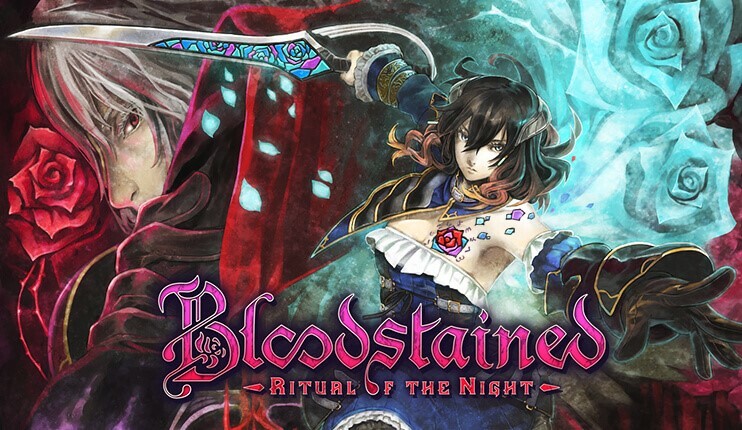 Bloodstained: Ritual of the Night and Bloodstained: Curse of the Moon both look like they should deliver a fantastic experience for fans of Castlevania and retro action-adventure games alike. Igarashi certainly knows what he’s doing, and both titles are clearly real labours of love. Bloodstained: Ritual of the Night will be released on 24th May for PS4, Nintendo Switch, Xbox One, Linux, Mac, and PC. 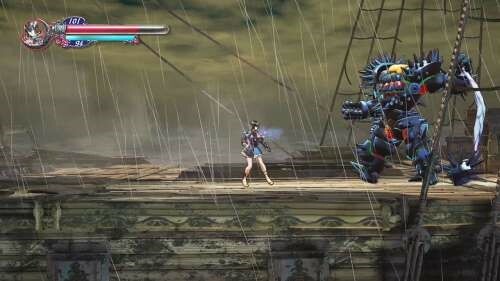 Bloodstained: Curse of the Moon will be released on 24th May too, for PS4, PS Vita, Xbox One, Nintendo Switch, Nintendo 3DS, and PC. 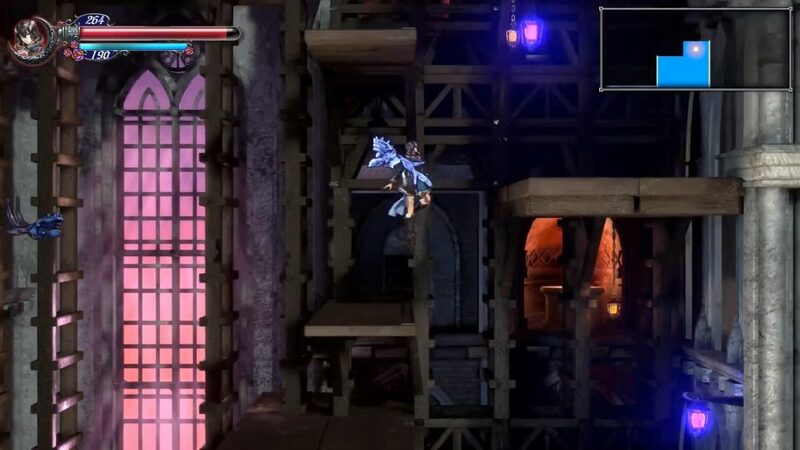 Bloodstained: Ritual of the Night and Bloodstained: Curse of the Moon look set to be outstanding spiritual successors to classic Castlevania games, with Gothic visuals and monsters aplenty. What do you think of the footage and details released so far? Let us know!